Jimmy Robertson will take on Mark Selby at the Ladbrokes World Grand Prix in Preston this afternoon. Snooker star Jimmy Robertson will take on world number one Mark Selby at the Ladbrokes World Grand Prix this afternoon (Wednesday). Bexhill-based Robertson - the world number 34 - will face reigning world champion Selby in an eye-catching first round tie at the Guild Hall in Preston from 1pm. The winner of the best-of-seven-frames encounter will face former world champion Neil Robertson, from Australia, in the last 16 tomorrow afternoon. Robertson has yet to beat Selby in seven previous meetings, although the most recent of those was back in August 2014. The 31-year-old lost 10-1 to Selby on his World Championship debut in April 2011. Robertson is the 3/1 underdog with the tournament sponsors to end that sequence this afternoon, with Selby priced at 1/4. Selby has lost in the first round of his last two tournaments, though, going down 5-3 to Xiao Guodong at the German Masters and 6-5 to Mark Williams at the Masters. Televised on ITV4, the Ladbrokes World Grand Prix - a world ranking event - will run throughout this week, with snooker’s biggest stars battling for a top prize of £100,000. The top 32 players on the one-year ranking list qualified for the tournament and there have been some big first round matches as a result. Robertson, who reached the quarter-finals of a full ranking event for the first time at the German Masters at the start of the month, is 27th on that list. After the World Grand Prix, Robertson will take part in the Welsh Open next week. His first round tie against Norwegian potter Kurt Maflin is scheduled for Tuesday February 27. The 31-year-old will then turn his attention to the Gibraltar Open and a first round encounter against John Astley on Friday March 9. 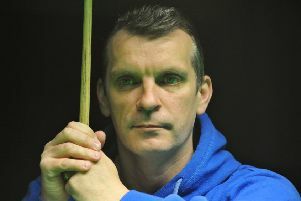 Robertson has qualified for the China Open in early April, which will be followed by the sport’s premier event, the World Championship, at The Crucible Theatre in Sheffield.